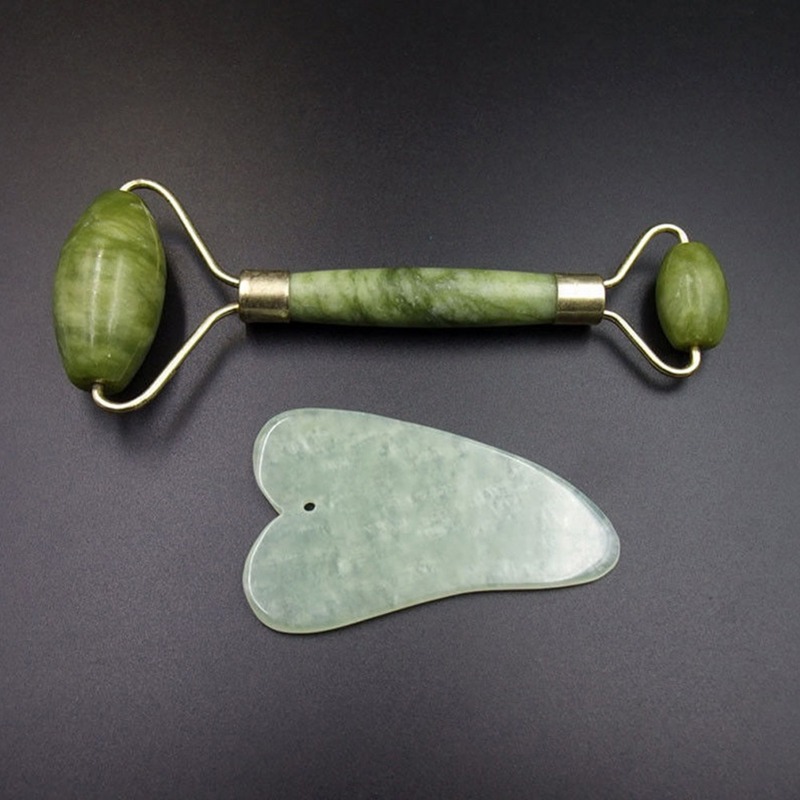 True Care Jade Facial Roller supports lymp drainage to reduce the appearance of puffiness, and wrinkles. It will help to remove excess fluid under the eye, while the cool jade stone constricts blood vessels to further minimise swelling. It’s been a beauty ritual since ancient times in China, dating all the way back to the 7th century. Physically, it helps to firm the look of skin through gentle massage. You can use the roller by itself or in combination with a few drops of moisturizer, serum, or oil. The process is simple: clean, dry face, then gently roll the jade up, down, and all across your skin until the product is absorbed. In gua sha, a technician scrapes your skin with short or long strokes to stimulate microcirculation of the soft tissue, which increases blood flow. They make these strokes with a smooth-edged instrument known as a gua massage tool. The technician applies massage oil to your skin, and then uses the tool to repeatedly scrape your skin in a downward motion. Delivery Time: 15-20 business days.